You feel the energy the minute you walk in the door. There’s an excitement in the air. And there’s a lot going on. Throughout the day, students interpret texts, solve math problems and conduct experiments in the lab. On any given day, they might be role playing, rehearsing in the music room, prepping a Torah reading for a service later in the week. They’re using technology for creative pieces and presentations. They’re striving for excellence as they work together. At KSDS, as in the Jewish tradition, everybody learns from everybody – students from teachers, teachers from students, and students from one another. 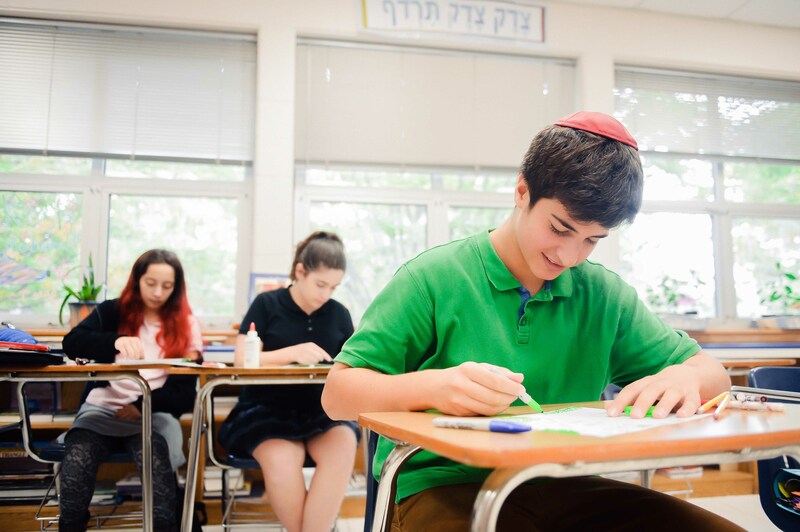 The atmosphere creates a sense of home and belonging to a community of students with a strong identity as Jews.